Posted on January 21, 2019 March 14, 2019 AuthorMark McLaughlin M.D. “A surgeon must possess the speed of a deer, the courage of a lion, and the touch of a maiden.”—M.A. Slocum, M.D. I pay keen attention to the latest advances in neurosurgery, but I am also fascinated with the history of my specialty. Over the years, I have learned about many pathbreaking physicians who made a lasting impact on the medical profession. Today, I’d like to focus the spotlight on a neurosurgeon who helped blaze an important trail back in the 1920s: Dorothy Klenke Nash, M.D. Today, women neurosurgeons remain a rare species; they represent only about 5% of the total in the United States. But at the time Dr. Nash became one, they were even scarcer; there weren’t any at all! 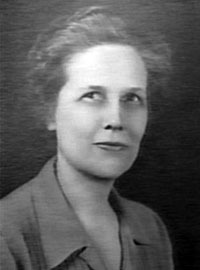 She was the very first neurosurgeon of her gender in the U.S.
Born in New York City in 1898, Dorothy Klenke grew up into a tall woman who was especially interested in the sciences. Her interest grew when she was at Bryn Mawr College, where she was a member of the health sciences club. The decision to become a physician was triggered when she first observed a surgical procedure at the University of Pennsylvania. Her parents didn’t want her to become a doctor, but Klenke’s mind was made up. After graduating college, she was admitted to Columbia University’s College of Physicians and Surgeons to pursue her M.D. degree. During medical school, Klenke was encouraged to choose a career in neurosurgery by her mentor there, Dr. Byron Stookey. After receiving her medical degree in 1925, she was an intern at Montefiore Hospital and then a surgical resident at Bellevue Hospital under the guidance of Dr. Stookey. When she was appointed to the staff at Bellevue, she became an N of 1 in the total pool of women neurosurgeons in the country. Dr. Nash was also on the staffs The Western Pennsylvania Hospital and The Children’s Hospital in Pittsburgh as the shortage of neurosurgeons continued through the war. At war’s end, Dr. Cameron was unable to return to his position due to health reasons, so Dr. Nash remained as chief of neurosurgery at St. Margaret’s. She later became an instructor in neurosurgery at the University of Pittsburgh. She retired from medicine in 1965. During her career, Dr. Nash was also extremely active in various medical and civic societies. She founded the Cerebral Palsy Society and the Allegheny Mental Health Society, and was a devout advocate for the welfare of children. She was named a Distinguished Daughter of Pennsylvania in 1953 and Pennsylvania Woman of the Year in 1957. Dr. Nash died on March 5, 1976, at the age of 77. For much of her life, Dr. Nash remained in a very exclusive group. She may have been the only woman neurosurgeon in the U.S. for a number of decades. Today, women still remain underrepresented in this specialty. I hope that the disparity is corrected in the years to come. And I also hope that women neurosurgeons in the 21st century recognize that they are following a path first opened by Dorothy Klenke Nash, M.D., nearly a century ago.